Follow and join in the family's excitement as they wade through the grass, splash through the river and squelch through the mud in search of a bear. What a surprise awaits them in the cave on the other side of the dark forest! Michael Rosen performs the book - why not sing along with your copy at home! This worthy winner of the Smarties prize in 1989 is a timeless classic that is enjoyed by children of all ages as well as by the adults who are continually asked to read it again and again. Follow the family's excitement as they wade through the grass, splash through the river and squelch through the mud in search of the bear. What a surprise awaits us all in the cave on the other side of the dark forest. 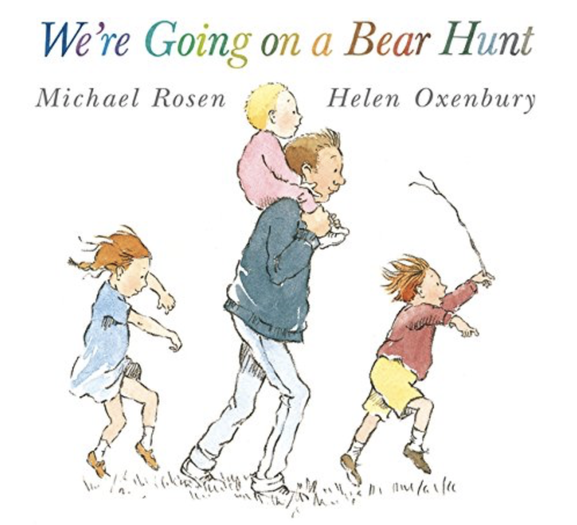 Michael Rosen's lyrical, repetitive text reads aloud beautifully and Helen Oxenbury's delightful watercolour illustrations not only provide the perfect complement but also add another dimension to the story itself.